Leave your home cleaning to us & win time. Select the date and time you would like your professional to show up. A trusted professional house cleaner or cleaning team comes over to clean your home. We know inviting someone into your home is a big deal. Our house cleaning professional's are carefully vetted by us so we choose the right people to care for your home. 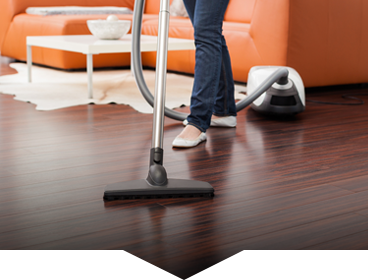 What makes Housekeeping Maid Easy the Premier Cleaning Service in the Indianapolis Area? Housekeeping Maid Easy helps you live smarter, giving you back time to focus on what’s most important in your life. We also provide all cleaning supplies and equipment so you don’t have to waste any time shopping for supplies. We think you are going to love our service. If you aren’t satisfied for any reason, we will come back and make things 100% perfect. Providing you with top-notch service is our main goal. Not only are our cleaners professionally trained to deliver the quality you deserve, but we go a step beyond most services offerings and include periodic internal Quality Assurance Inspections as part of our normal service. Easily book online by our booking form or if you prefer call our office at 317-579-1988 for help or to book. We’ll can even come out for an in-home estimate if that is more your style. Someone is always manning our office or supervising the field during business hours to be there to answer your call or email and take care of your needs promptly. If we can’t answer we’ll get to you ASAP during business hours. Our prices are available on our website via the booking form, based on sq. footage, bathroom and bedroom count. Pay with safe online payment by credit card, Paypal, or if you prefer leave a check with your cleaner or have it mailed to our office via your online banking system by your cleaning date. I found Angie & Sway's cleaning work to be exceptional. The level of detail in which they cleaned was noticeable throughout the home and I sincerely appreciate their conscientious work ethic! Thank you! Just wanted to say what a GREAT job cleaning today to Anna and Mari! Like their usual, the floors are super clean and the house looks great! Everything is going great with Lacey! Thank you for the outstanding job your staff does for us! I constantly get compliments on how great my home looks! Could not be happier!